Nonprofits are constantly trying to connect with passionate people who care about their issues. We want our advocates and our volunteers to not only take action on our issues, but we want them to donate money and time to our organizations, recruit their friends, family and colleagues to our causes. In other words we want them to help us build a movement. 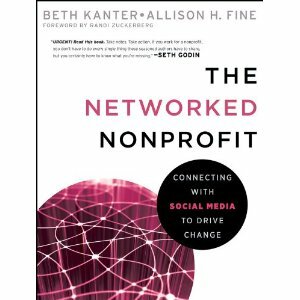 Beth Kanter and Allison Fine, who recently published the book The Networked Nonprofit: Connecting with Social Media to Drive Change, offer nonprofits some sound advice and strategies on becoming a better "networked nonprofit" to help further engage people. They will be sharing even more insight on the Care2 webinar Networked Nonprofit on June 17th at 2PM. Sign up here. In the meantime, here's a sneak peak of what Beth, Allison and Danielle Brigida of National Wildlife Federation, and Mark Sirkin of Austim Speaks will be discussing on the webinar. What inspired you both to write about the importance of being a networked nonprofit? BK: The initial inspiration for me was the idea of “free agents” These are powerful social change players. A free agent, as we are defined it in the book, is a person (many times a GenY, but not always) who is a passionate about a social cause, but is working outside of a nonprofit organization to organize, mobilize, raise money, and engage with others. Two examples come to mind: Amanda Rose and Manny Hernandez. Free agents are also fluent in social media and take advantage of the social media tool set to do everything organizations have always done, but outside of institutional walls. I started doing free agent fundraising back in 2006 when I raised money for Cambodian kids for the Sharing Foundation and I saw great potential. I thought this was a powerful concept and I thought the book was going to a manifesto to convince nonprofits to embrace them. As we got into the research for the book, we realized there was a larger frame. AF: We knew that almost all nonprofit organizations had dipped their toes into the social media waters over the past few years. What we were hearing from these organizations had shifted from, “Do I really have to do this?” two years ago to, “I know I have to do this but don’t now how.” So, we set out to provide a framework for organizations to understand how to be a Networked Nonprofit, meaning how to be open, simple, transparent and network oriented, in order to do things like turning friends into funders and crowdsourcing problem solving. What are a couple of the key tools or strategies you think nonprofits should be taking advantage of that will help make them a better networked nonprofit? BK: Making the shift from working as a single organization to one that works in a networked way both inside and outside of institutional walls is not a one-step process. Many organizations cannot just flip a switch. It isn’t as easy to change as changing a light bulb. In the book, we offer a framework to guide nonprofits on how to embrace social media holistically. We believe that Networked Nonprofits first have to be, before they can do. I think the concept of creating a social culture first is really important to success. I’ve seen so many nonprofits not have their social media be as effective as it could because of adoption issues. The resistance to new technology is not necessarily a new idea. It is similar to what I saw 20 years ago as a nonprofit tech consultant when nonprofits had to give up their 3x5 cards for excel spreadsheets. Change is hard. AF: It is critically important for organizational leaders to be involved in the organizational change that Beth mentioned. As we say in the book, “Social media use is a contact sport not a spectator sport.” They cannot hand the social media toolkit over to the summer intern and think that the organization has changed in any way. When you hear a CEO say, “We tried Facebook and it doesn’t work for us,” then you know that they jumped straight to doing rather than focused on taking their walls downs and creating new relationships with their networks. In one of Beth’s recent blog posts on Huffington Post she mentions nonprofits can't look at a single channels. “Nonprofits need to stop using the numbers of followers or fans as indicators for success. Measure the impact. A lot of followers doesn't equal impact or even influence.” Allison and Beth, what measures should nonprofits be looking at to measure impact? BK: We have to remember that there are two types of results to measure – tangible results and intangible results and the intangibles come first or early. For example, intangible results include learning what works and what doesn’t, engagement, feedback, sentiment, etc. These results aren’t necessarily valued by nonprofits, but must come first before we get to see the tangible stuff like dollars, sign ups, petition signatures – and of course, real world or offline results. AF: This area of measurement is an enormous hurdle for nonprofits, particularly those accustomed to measuring outputs – how many hits they got, friends they made, etc. Beth did an outstanding job in that post of taking us beyond those indicators to a new place of measuring relationship building that is the key to social change. To put this in the context of our framework: measuring what you’re doing online, like money or friends raised, is relatively straightforward. However, measuring how you are being online isn’t so easy, but without success in those areas nonprofits won’t be successful using social media for social change. If nonprofits are only going to remember one thing after reading your book and listening to the webinar on Thursday, what would it be? BK: Work less like a single organization and more like a network. AF: Organizational leaders need to overcome their fears of losing control, embrace social ways of working, and remake their relationships with their communities.